Renewal by Andersen has been taking the hassle and confusion out of window buying for over 105 years. Our signature service promise means we are with you during each step of the window replacement process. This includes sales, design and feature advice, financing, manufacturing, installation, warranty and repairs. The Better Way to a Better Window in Cape Cod from the Replacement Window Division of Andersen Window Corp.
Click here to visit our installation page to learn more about what to expect on installation day at your Cape Cod home. The insulating properties of Fibrex® also result in cost saving energy efficiency every homeowner demands. Your home will stay cooler in the summer and warmer in the winter. Our specialized glass options also contribute to this and are designed for the varied weather in Massachusetts to provide a comfortable indoor space no matter what the season. 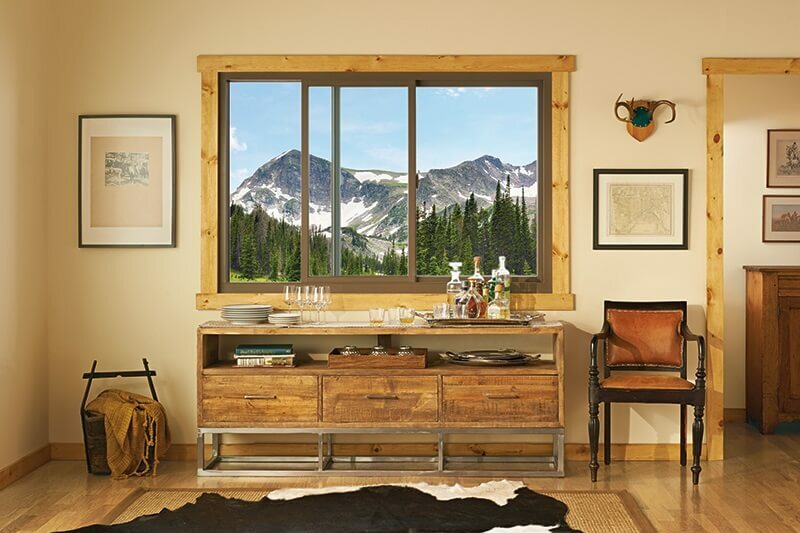 Renewal by Andersen offers a full range of thoughtfully crafted hardware, color, and grill options for your window replacement and patio doors. Our trained staff can help you choose the right design that best fits with the look and feel of your home and unique style. Whether you are more traditional or like a sleek modern look, we have the right window option for you. There is truly no limit to what you can make of your Cape Cod home with Renewal by Andersen window replacement options. 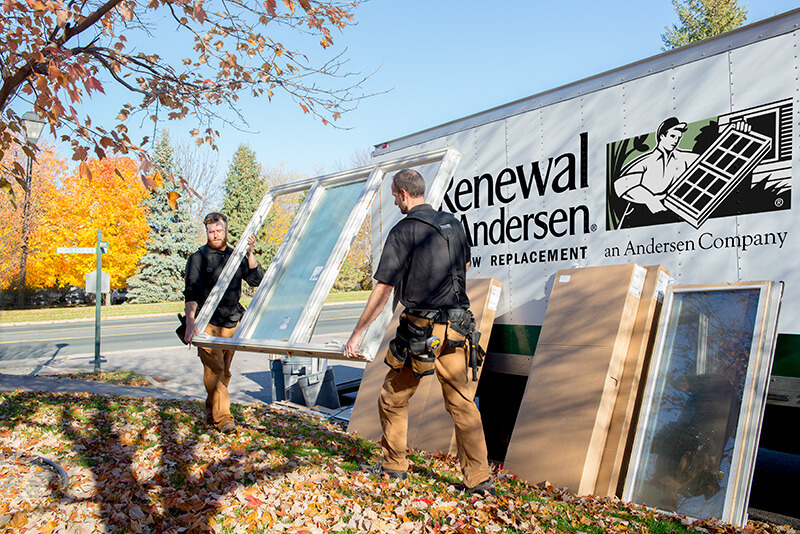 Renewal by Andersen’s experienced window installers go the above and beyond to ensure precision, leave your home clean of debris, and even dispose of your old windows if you choose. 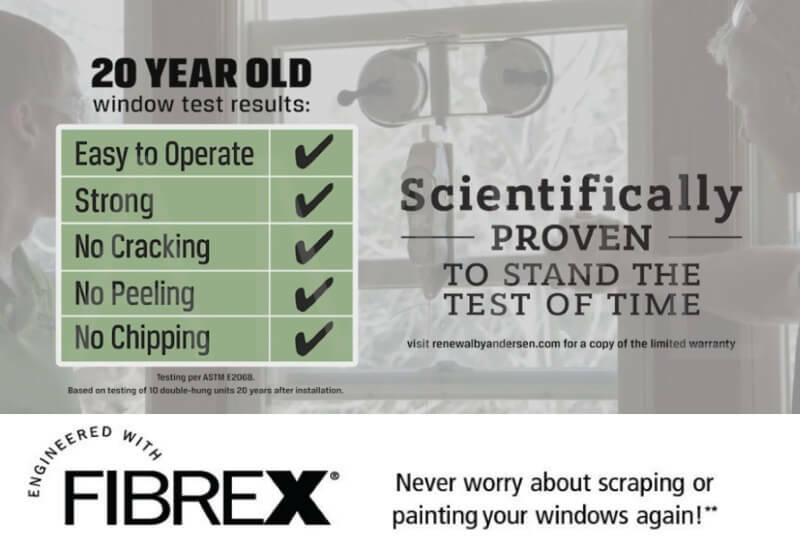 We are the better way to a better window for your home in Massachusetts. Renewal by Andersen® is the window replacement subsidiary of Andersen Corporation, a company that has revolutionized the window and door business for more than 110 years. Welcome to Renewal by Andersen windows of Cape Cod. 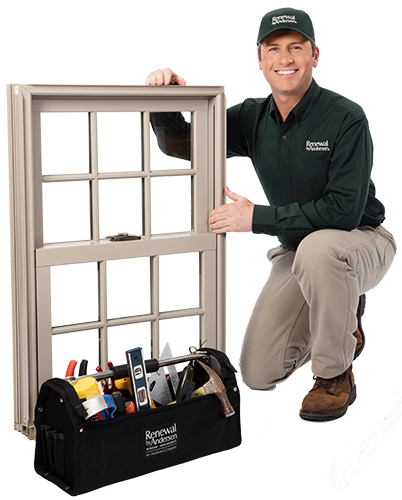 We are the area’s source for custom fitted, highly energy efficient window replacements and patio doors. The process starts with a no-cost in home consultation where we come to you, help you choose the perfect style and trim. In addition we will perform an energy analysis to help you find out how much energy loss your home is experiencing through your current windows. Our past customers appreciate the fact we work on your schedule and help you learn more about what makes our products so special right from the comfort of your home in Cape Cod or nearby towns. With Renewal by Andersen replacement windows of Cape Cod, you get much more added value than you would receive with traditional window or door installers. You receive the peace of mind that comes with working with a company that specializes in only windows and doors and has for well over 100 years. Next, you are guaranteed your windows will last with our high quality construction and warranty. Our windows are so coveted they can substantially increase the value of your home as well. Most importantly you get the best customer service in the industry and a finished product that matches the exact vision you have for your home. This was phase 2 for us. We had 9 windows done in 2017 and 5 this year. We have 2 more to do which we will be in phase 3. We have used the financing your company offers and that has made it all possible to take on this project. Thank you! There was a defect with a window during the install. The crew contacted the necessary people to set up a replacement. A few days later, a defect showed up on a second window. I called customer support, described the and described the defect. I asked if they wanted pictures or to send someone out. They did not require either, she simply put in a request for a second window. No hassles. The installer in particular was a pretty fantastic guy to work with, knowing i was experience in construction, he deliberately took the time to ensure I was aware of how he was going to execute the installation, asked if I had any preferences on how the fit and finish would be, and in my experience, went the absolute extra mile to ensure I was not only satisfied with how it went in, but in his quality and care all around the install. A top notch installer, would absolutely recommend him to anyone 10/10. Very satisfied with the installation process and the Renewal by Andersen window product. Installation team was very prompt, kept my wife and myself informed during the process to install 20+ windows in our home - a most professional team. Thank you for a Job Well Done! The staff was outstanding to deal with from the first phone call to the very end of the process. With special thanks to Brandon Harvey, Bob Moran, and Mike Jones and his crew. Thank you all for the time you took answering questions and being genuinely caring. Very satisfied with the windows and installation team. My only grip is that the price of my second project (4 windows) was higher than what I was quoted when I did my 1st 4 windows (6 months ago). We were told that the price would be good for up to 1 year. and it wasn't. Although it was explained to us that the price reflected the yearly price increase, that price guarantee is very misleading!! Everything about my experience with you folks is truly amazing. From my sales rep to the installers your company came through for my wife and I. The Windows are excellent and are already saving us money on heating costs . I am already talking to my Rep to get two more Windows installed up stairs. I am very glad I heard your commercial and gave you guys a call. Best move I ever made. Thanks again. The crew that came to install my windows, where very personable and highly efficient. They installed in one day instead of what we thought was going to be a two day ordeal! Very happy with all my new windows and the people we associated with throughout this project. Would recommend them to any and everyone! Have received nothing but compliments from neighbors and friends. Sales representative was very friendly, answered our questions. Installers were professional and polite and left everything very clean and tidy. The windows are beautiful, and I am sure will save us on fuel during our very changeable weather in Cape Cod, MA. Was totally pleased with the way consultation to installation went, exactly as explained by Jim Passanisi, our Anderson representative. Decided on 9 windows and 1 patio sliding door. Was notified of progress and time frame for installation during the wait to installation. Anderson sent 3 top notch installers, Kyle, Justin, and Jason. Very skilled team. They work very well together. We were amazed they did the whole install in one day! Very neat workers. Did a fantastic job. When they were done, you could not tell they were even here!!! Also knowing any problems with warranties will be dealt with directly through Anderson. I would definitely recommend Renewal by Anderson to family, friends, and anyone considering window replacement. Renewal by Andersen is proud to serve Cape Cod MA and surrounding areas with the finest quality window replacements and patio doors on the market. Contact us today for a price quote on our start to finish window and door replacement.